Wow 4K TV prices are starting to fall. Great bang for the buck, shipping is only 25$. 0.66$ per noodle pack is an insane deal, instant soup noodles is good. [CAN] : Crucial MX200 250GB SSD Drive, 99$! Lowest we’ve seen so far on this drive. This is a smoking hot deal on a premium laptop. Here is the v-day deal of the day. 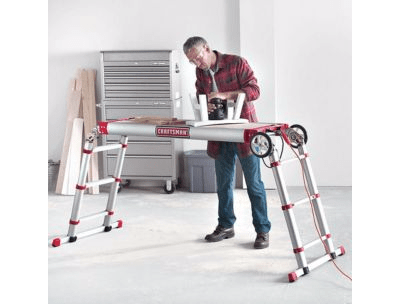 [CAN] : Craftsman Ulti-Mate workstation 99$ !!! A must have for any home and garage owner. The ulti-mate work station! Innovative design transforms to tackle any project. When you need to multi-task, our workstation multi-tasks with you. Can be used as an 11′ ladder, scaffold, work bench, 2-wheel utility cart or a multi-position ladder. Work bench also includes a built-in powerstrip for added convenience. platform raises from 22 2/5″ to 54″ h.
[CAN] : 70% OFF Micro USB Cable 6 pack, 8.99$ + F/S! This is a great deal for any cellphone users really, you can charge any non-iPhone devices with these cables, we can NEVER have too much and for that price it’s a great bang for the buck. For this price, it’s a no brainer. Might be out of stock right now but Microsoft restocks frequently, refresh the page.